On 12-13 July 2010, I'll be holding a symposium here in Sydney entitled "Sarah Coakley and the Future of Systematic Theology". 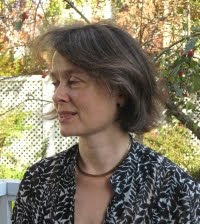 The event will open with a public lecture by Sarah Coakley, followed by two days of papers and intensive discussion. Coakley is one of the most exciting and creative figures in contemporary theology, and this will be a time of serious discussion about the future of systematic theology, using her work as a resource and stimulus. I'll soon be creating a webpage for the event. But in the meantime, please feel free to contact me if you're interested in participating. I'm especially keen to gather papers that engage theologically with different aspects of Coakley's work (e.g. patristics, contemplative prayer, feminism, gender, desire, Trinity, and so forth). If you're interested in learning more about Coakley's theological project, you should check out the extended interview in Rupert Shortt's book, God's Advocates (you can read the whole chapter on Google Books).